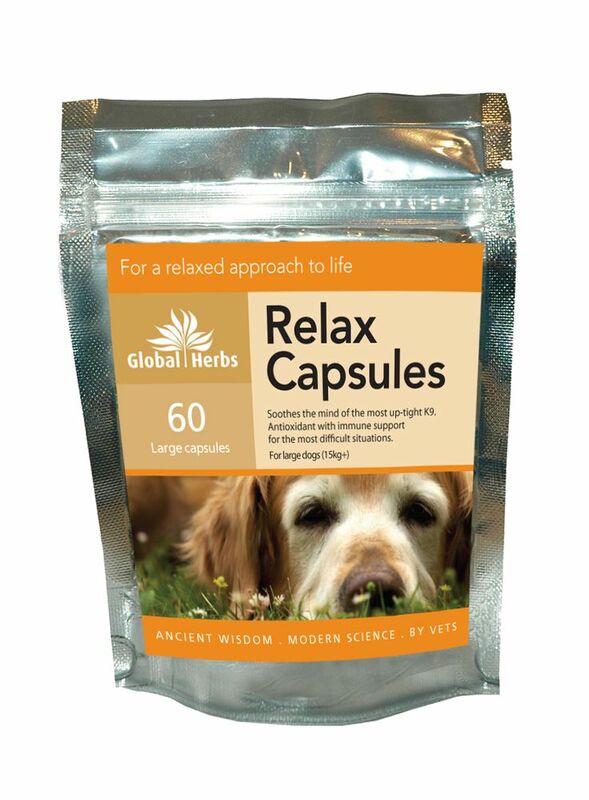 Global Herbs Relax help to maintain good behaviour in your dog by helping to ease stress. It is full of antioxidants and Vitamins C & E which help your dog to forget their worries. Dogs can easily be upset by circumstances around them. This can result in poor behaviour and misery for their owner, or it can profoundly disturb the hormone systems in the body, resulting in long term stress. Using Global Herbs Relax can help to get your dog used to stressful situations and lead a happier life. For a particularly stressful situation you may need the Relax Extra Capsules. There are currently no questions for Global Herbs Relax for Dogs - be the first to ask one!